Thank you so much for really warm welcome. Please believe me, if I could I would be gladly using Japanese language. You may not be interested about this, but it will be a part of my introduction, I'm fluently in Polish, not bad in Russian and a little bit of German (I lived in Germany for a while in my life). In my past I tried to learn Japanese and Chinese but I must admit, I failed. Still remember first lesson of Chinese language, and after finish I just remember one expression, what a shame of me. I have to say, it's good we have now ability to translate many languages thanks for automatic translators. I do realise it's not a perfect solution, but it's better than nothing. So far I was able to communicate in Spanish, Portuguese and Indonesian languages. My first visit on Sprasia was curiosity, I was interested about "abandoned" software called DxM. I was trying to find any informations about it in English, but nothing has been found. Just couple short tutorials on Youtube, but those just scratched the surface and didn't provided any information I've been looking for. Next step was start searching "source" in original Japanese language. Maybe not everyone knows, but I'm not afraid of challenges, and if I want something, language barrier will not stop me. As example I can give you PS game called "Dragon Quest Builders". I don't have PS4 neither PS Vita, only PS3 in pristine condition. This game looked so interesting for me, but I knew it's only in Japanese language... and what happened? I found this game in one of Japanese on-line stories, bought it, waiting weeks, but finally this game arrives and I spend many hours enjoying it. Game is obviously in Japanese language. I would like to thanks for two Sprasia members for warm welcome and constant help. I do really appreciate it and once more, big, big THANK YOU: Kagami-P and Pochi. Your lovely daughter has been noticed and I want to share picture of my daughters, but most probably when I'm replying this post, I cannot attach anything, so I will upload picture of my daughters and make it public, accessible to anyone want to see it. Congratulations on your first writing! Please make a lot of friends here in Sprasia. Seems that there are many topics we can talk. It was a luck... I've been searching for information about DxM... and finally I ended up here. It's not a problem for me reading in Japanese, as I'm able to translate it, however I'm not able to write anything. 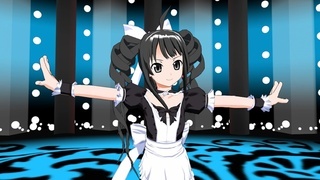 DxM stands for "Dance×Mixer", this software has some similarity to MMD, but as I'm aware only few using DxM now. Many people want to learn english and join in coaching centers. I want to pay someone to do my assignment because I don't have much knowledge in english. Communication is the easy way to learn the language. I will be glad to help to learn English during conversation.